Hoyle, Tanner’s environmental presence in the State of Maine was recently boosted with the award of a municipal wastewater engineering study by the City of Gardiner, Maine. Located on the Kennebec River, about 15 miles from our Winthrop office, Gardiner is a small city with a very active asset management program and committed leadership that looks to the future. The wastewater treatment plant and interceptor sewers were originally constructed in the 1970s. Since then the City has maintained a vigorous schedule of improvements at their treatment plant and sewer system. This project is the culmination of a Combined Sewer Overflow (CSO) Master Plan that will eliminate the last remaining untreated discharges into the Kennebec River at the Maine Avenue Pump Station. 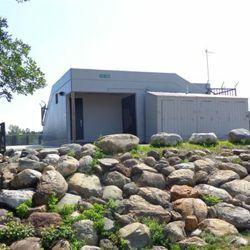 The Hoyle, Tanner environmental group will team up with AECOM of South Portland to finalize the planning of a CSO storage and treatment tank, screenings removal system, and sewer system rehabilitation. This planning project will set the stage for a significant design and construction project which is expected to start next year.